Health Technology Assessment (HTA) Public Consultation – Have Your Say! Every year, the IMI Stakeholder Forum gathers Innovative Medicines Initiative (IMI) stakeholders in health and medicines R&D and provides them with an opportunity to learn about and discuss IMI’s latest activities and plans. The IMI Stakeholder Forum 2016 will take place on 28-29 September in Brussels. The COST Unit of the State Secretariat for Education, Research and Innovation SERI presents a new brochure „COST Success Stories in Switzerland“. 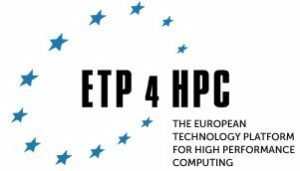 The European Technology Platform for High Performance Computing (ETP4HPC) is updating its Strategic Research Agenda (SRA) and is seeking your comments. Grab this opportunity to provide your view in a document that will shape the coming HPC calls! The HIMSS Europe Online Matchmaking Event takes place in the frame of the eHealth Week 2016. The aim of the Matchmaking Event is to encourage collaboration and generate meaningful global business opportunities between companies, health providers and other stakeholders. More information about COST is available on the website of the State Secretariat for Education, Research and Innovation SERI or on the website of the COST Office.